Join Learn with Google at SES in San Francisco! If you're planning on attending Search Engine Strategies San Francisco in August, stop by our in-conference Learn with Google event, Search and Beyond with Google AdWords and DoubleClick, to learn how Google makes the web work for you. We'll have speakers across Google Search, the Google Display Network, and DoubleClick Search, with question and answer sessions following each presentation. The full SES agenda can be found here. Additionally, we'll be offering 20-minute account optimization sessions with Google AdWords specialists, and 20-minute product demonstrations with DoubleClick Search specialists. If you’re interested in learning more about new features or best practices, let us know by filling out the form here. The deadline to sign up is Wednesday, August 8, 2012. Still haven’t registered? We're happy to offer advertisers a promotional code for 20% off when you buy a Conference pass to SES SF. Reference our discount code 20GOOG upon registration. If past conferences are anything to go by, this should be a fun and educational event, with lots of folks to meet, contacts to make, and tips and tricks to learn. We hope to see you there! webinar series. We will share the masses of quality content YouTube has and will show how you can advertise against it. Hosted by the UK Webinar team, but anyone can register! What great content does YouTube have to offer? How can you easily find it? Please join us for this installment of the Just Add YouTube webinar series. We will share the masses of quality content YouTube has and will show how you can advertise against it. Hosted by the UK Webinar team, but anyone can register! , as a way to reach the right audience with your message and re-engage with customers who have visited your site. Since then, clients have seen great results - more engagement, better ROI and higher sales. At the same time, remarketing is helping our publishers and is funding content online. And with simple tools like Why this Ad?, the Ads Preferences Manager and Mute This Ad, we’re giving users increased control over the ads they see on Google and across the web. In response to our clients’ feedback, we’ve been working to make these solutions even better: simplifying the process of getting started with remarketing, giving you more flexibility in managing your remarketing lists and adding new ways to connect with your target audience. Smarter, more flexible ways to manage remarketing: Managing your remarketing lists (or getting started with remarketing) is easier and more flexible than ever. We’ve upgraded the AdWords remarketing tag so you only need to place it once across your entire site. You can then define as many lists as you like in AdWords—for example, for pages where the URL contains the word “electronics.” For Google Analytics clients, remarketing today involves multiple tags. We are simplifying this, so that a small edit to your Analytics tag will soon enable you to create remarketing lists right from your Analytics interface. Like lists created with the AdWords remarketing tag, these lists can be used to run campaigns on the Google Display Network. For more details on what’s rolling out in the the coming weeks, check here for the new AdWords remarketing tag and here for Google Analytics. Reaching similar audiences: In the coming weeks, we’re gradually adding a new option to enable you to show ads to audiences that are similar to those on your remarketing lists, but who may not have visited your site yet. Reaching the right audience with search ads: We’re expanding a test we’ve been running for search ads (described here). This beta allows you to customize your search campaigns, based on your AdWords remarketing lists. It's being made available to clients who have a managed account; reach out to your representative if you're interested. When online advertising is working at its best, businesses are able to efficiently and effectively connect with their customers, publishers are able to fund their great content, and users see ads that are useful and compelling. We’re committed to investing in the tools—like the ones we’ve discussed today—that can help make this possible. A few years back, we introduced interest based advertising, including remarketing, as a way to reach the right audience with your message and re-engage with customers who have visited your site. With a growing number of searches happening on mobile devices, it's more important than ever to provide consumers with a positive mobile web experience when they click on your ads. We know that many of you are considering whether to build a mobile website or to use responsive design. Our friends at the Mobile Blog recently wrote about the differences between them, and how you can decide which is right for you. Visit the Google Mobile Ads Blog to learn more. We will cover how to run your TV ad on YouTube in two easy ways - running it on YouTube Homepage to deliver incremental reach and using TrueView InStream formats to deliver scale and engagement. We will also explain how to effectively add YouTube to your TV schedule. This webinar is specifically designed for a TV savvy audience who values the importance of reach and frequency to ensure maximum impact of VOD campaigns. 78% of online video viewing in the UK is on YouTube, which makes it an excellent platform for VOD. But what are the best ways to maximize it and make it work for your business? To help businesses reach customers while they’re shopping, today we’re launching our new Google Shopping experience, built on Product Listing Ads, for tablets and smartphones in the United States. Just like on desktop computers, Google Shopping for mobile makes it easier for your customers to find and compare different products. Product images enable shoppers to make quick visual comparisons while browsing products. Search refinements, now on tablet devices, help to surface the brands, features and price point they want, so shoppers can easily buy the product they want from the merchant of their choice. We designed this new shopping experience to fit naturally with the activities people love to do on their smartphones and tablets. For example, tablets are largely used at home, and often while watching TV. In fact, more than a third of tablet owners surveyed said they used tablets to look up products they saw on the big screen at home*. These consumers are making more and more purchases on their tablets. We see similar trends amongst smartphone owners. Our recent Our Mobile Planet research found that one third of Americans (34%) have made a purchase on their smartphones**, and across all global markets surveyed in the study, 62% of people who’ve made a mobile purchase do so at least on a monthly basis. Product Listing Ads can be set up in AdWords, after you’ve linked your Merchant Center account. To ensure that mobile and tablet shoppers can view your Product Listing Ads, make sure that your campaigns are targeting mobile and tablet devices with full browsers. Existing Google Product Search merchants who are new to Product Listing Ads can receive $100 AdWords credit toward Product Listing Ads if they fill out a form before August 15, 2012. Smartphones and tablets are changing how people shop for goods and services. More than ever, consumers have near constant access to information from their mobile devices. This global trend opens up new opportunities for businesses to influence purchasing decisions -- at anytime or place, at home or on the go. We announced that we’re creating a new shopping experience, Google Shopping, to empower merchants of all sizes to compete effectively. Through feedback from our merchant partners, we understand that the transition to the new Google Shopping experience may seem intimidating for first time AdWords advertisers. We take this feedback seriously and want you, our merchant partners, to know that we’re here to help. As a first step, today we’re launching a new simplified setup flow for Product Listing Ads in the familiar Merchant Center interface. The new setup flow provides a step-by-step guide on how to create an AdWords account and set up a Product Listing Ad campaign, as well as how to control when and where your products appear in Google Shopping with bids. You can also view basic campaign reporting through your Merchant Center account. All merchants who create Product Listing Ads by August 15, 2012 will automatically receive a monthly AdWords credit of 10% of their total spend on Product Listing Ads through the end of the year. Additionally, active Product Search merchants (as of May 30, 2012) can fill out this form by August 15, 2012 and receive a $100 AdWords credit to use toward Product Listing Ads. To create a Product Listing Ad campaign, sign into your Merchant Center account today. For more information please visit: www.google.com/ads/shopping. Today we’re excited to announce we’re offering one of the most popular features of Google Commerce Search, Search As You Type, as a free, stand alone feature. It’s easy to implement and helps increase sales and conversion rates on merchant websites. The Search As You Type pilot is available to US-based AdWords advertisers for free, up to 25 million searches annually, after which licensing fees would apply. Search As You Type uses Google’s predictive suggestions and instant product results to enhance a merchant’s existing website search functionality. When shoppers type a search query into a merchant’s site, Search As You Type shows them product suggestions and photos, making it faster and easier for people to spot the product they’re looking for and click through to make a purchase. The Search As You Type pilot is one of the many steps we’re taking to provide technology, tools and traffic to help power the retail ecosystem. And we’ll continue to develop and invest in tools, such as Google Trusted Stores and Google Commerce Search, to help retailers connect with shoppers and drive conversions. Over the coming months, we plan to expand the pilot to include more online retailers. If you’re interested in participating, please fill out this form. To learn more about Google Search As You Type, visit: http://www.google.com/commercesearch/sayt. Great search is all about turning intentions into actions in the blink of an eye. And in online retail, having a quick and user-friendly website can make a world of difference when it comes to engaging shoppers and driving sales. 1) Visit the Google Ads Google+ Page at 9:30am PDT / 12:30pm EDT. 2) Look for the post in our stream (see image below for what it will look like), and click to tune in. 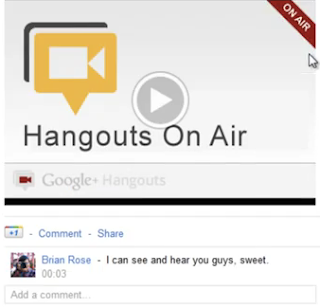 Be sure you’re signed into Google+! We look forward to seeing you there, but if you cannot join us, we’ll be posting each session to this blog and the Google Business YouTube channel. As online marketers, you are constantly juggling. From building and optimizing campaigns to analyzing reports and managing budgets - sometimes all before you’ve had your morning coffee. And while there are many tools and solutions to help automate these tasks - from AdWords Editor, DoubleClick Search, and everything in between - choosing the right one for your business can be challenging.